I've been itchin' to throw a picnic for sometime. The unpredictable San Francisco weather and my want-to-create-an-experience behavior work against each other. Determined to host a picnic for my mom this year, I moved our gathering approximately an hour south of SF where the weather is predictable and cooperative and went into full prep mode all week. I'll give more details about the menu and recipes in a follow-up post, but the food was great. Doc made his version of fried chicken, and I prepared some tried-and-true dishes and experimented with a few new ones too. 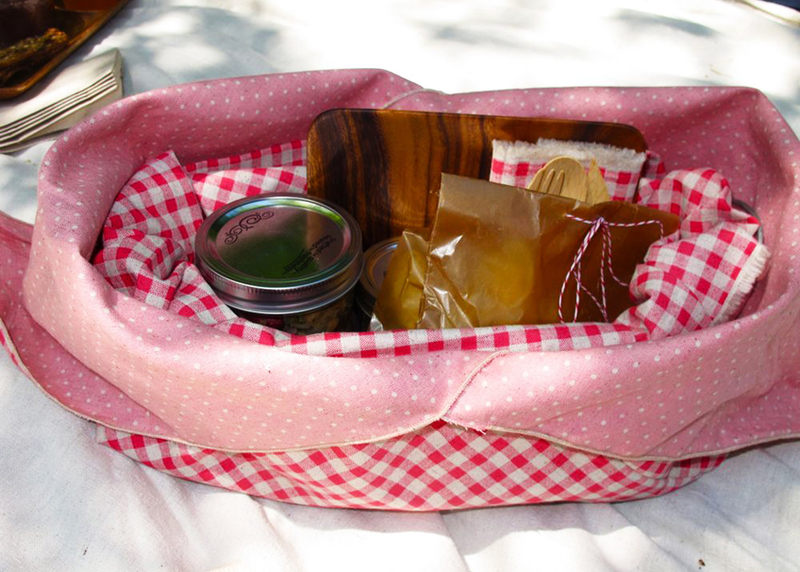 The best part about the picnic was making individual baskets for us. It gave me the opportunity to use some fabulous reversible fabric that has been in my stash forever to sew napkins, a basket liner and a basket wrap. I was so happy with the results, I had to share. The "basket wrap", as I called it, is really a Japanese Azuma bag. They are so versatile and easy to sew. If you want to make your own, Coco Stitch has a great tutorial. I use a serger because I'm lazy, but it does add a bit of detail. Ambatalia has some great Azuma style bags for sale if you don't sew. I hope you had an enjoyable Mother's Day. 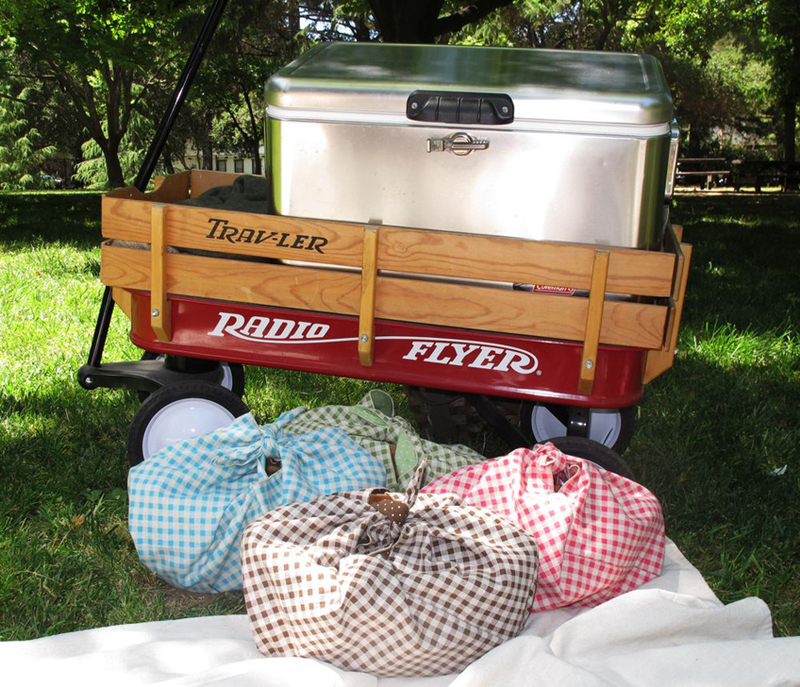 May all your summers picnics be filled with good times and good food!